On 5/9/12 Skip Hunt boarded a plane from Austin, Texas bound for Bogota, Colombia. The only plan was going into the unknown and letting the unfamiliar move and inspire. No map or plan to speak of. Just 6-weeks to wander and make images. 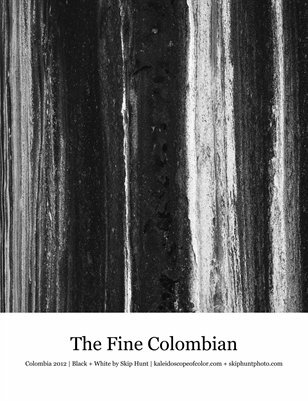 This photo book contains the 56 images representing the finest black & whites during the journey.